As we pull into a remote village in western Kosovo—a column of bikes and fluorescent colors interrupting the agrarian landscape—the sound of a drum stops us in our tracks. We turn to see a tweed-clad older man from the local Roma community who has emerged to cheer us on. “Americans, yes?” he asks through translation. We are a mixed group of Americans, Canadians, and one Brazilian, but we don’t correct him. We look out of place as we roll past tractors overloaded with hay and local women tending to cows, but we are greeted warmly each time with a smile and a wave. We are guests here … and in the scenic Malësi—or highlands of western Kosovo and northern Albania—there is no more important role. 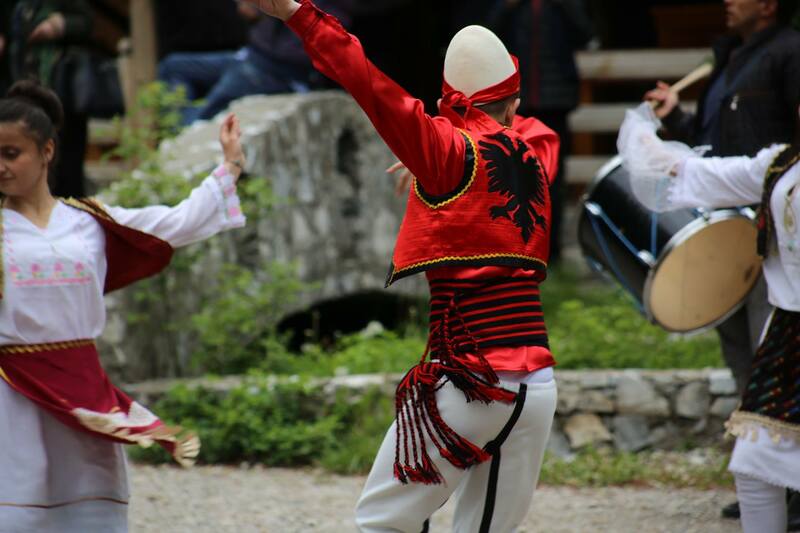 Adventure tourism is on the rise in this quiet corner of the world, not only because of its ideal location between the Via Dinarica and Peaks of the Balkans hiking trails, but also because of the opportunity the Malësi region offers to experience traditional hospitality that dates back centuries. Visitors were given a designated seat on the top floor of the building—which also served as the location for weddings, funerals, legal proceedings, school, and more—and treated to a litany of stories, or rrotlla, over steaming cups of thick coffee. 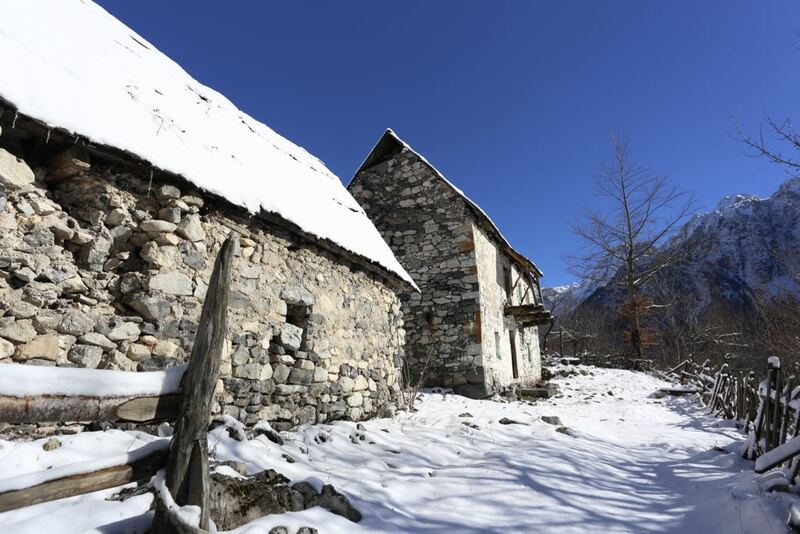 Many of Kosovo’s historic kullas were destroyed in the late 1990s or have deteriorated due to lack of care, but some are recently being restored and used as guesthouses. Sali Shoshi has made it his life’s work to ensure that the region’s traditions are not lost with the kullas. An architect who has worked in cultural preservation for 15 years, Shoshi recently decided to join his passions for Kosovo’s heritage and its impressive natural scenery by starting his own adventure tourism company, Catun. One of his most popular bike tours brings visitors to the home of Isuf and Kumrije Mazrekaj, whose family kulla Soshi is helping to restore. Another Catun tour leads guests across the border to the staggering snow-capped peaks of Valbona National Park in northern Albania. The bike journey takes visitors past dozens of Albania’s estimated 700,000 bunkers, eerie remnants of the 50-year period when the Malësia region was split between Enver Hoxha’s communist Albania and Josip Tito’s socialist Yugoslavia and the border was completely impassable. Catherine Bohne, an energetic Brooklynite, also saw the region’s potential as a hub for outdoor lovers and cultural exchange when she first visited northern Albania seven years ago. Convinced, she soon moved to Valbona and has since become one of the national park’s biggest advocates through her website, Journey to Valbona, as well as the restaurant, information center, and guesthouses she manages with partner Alfred Selimaj. Even being recently attacked by a bear has not diminished her love for Valbona’s charms. Hiking is the sport of choice inside the park, which boasts a wide variety of biodiversity, but other adventure sports—rafting, kayaking and backcountry skiing—are quickly on the rise throughout the region. On the Kosovo side of the border, the city of Peja has invested in the construction of a via ferrata with plans to add two more routes as well as a zip line in nearby Rugova Valley. Back on the Albanian side, the regular ferry across Lake Komani makes for a relaxing break from Valbona’s famed multi-day treks. Malësi is convenient to the international airports in Pristina, Kosovo, and Tirana, Albania. The airports offer a variety of regular flights from other Balkan destinations, as well as Western Europe. The region between Kosovo and Albania can be covered in three hours by car or over two to three days of road biking. There are several comfortable and affordable hotel options in Western Kosovo: Hotel Çarshia e Jupave in Gjakova and Hotel Dukagjini in Peja are top choices. You can also contact Catun for more information on how to stay in a traditional kulla instead. In Valbona, Bohne and Selimaj offer several levels of accommodation, from camping to comfortable guesthouses on their property, Quku i Valbonës.